Steve has been with McDonald Lawson since 2014, opening and running the Rylstone Office of McDonald Lawson. 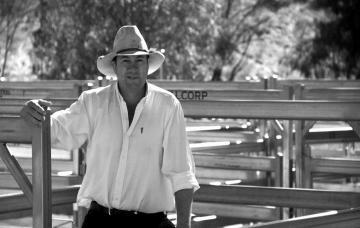 Prior to that Steve was a director and part owner of Peter Druitt & Co Livestock and Property, managing their Rylstone Office for over 10 years. Steve has been selling livestock and property in the Rylstone district since 2004, and has lived and worked in the region since moving there in 1998 to manage a large rural holding. Steve is married with two teenage children, and when he isn't working spends time running his own property. Steve is a proud supporter of local charities and happily donates his time to provide auctioneering services at several annual local events. Thankyou so very much for all you did in assisting us with the sale of our property and it's clear out. Your advice and friendly professional approach to the property sale and auction was very much appreciated and gave us the confidence that the best outcome would and was attained. Thank you so much for showing us around the cattle yards and we all appreciate you greeting us at the sale yards. Thank you for for taking up you working time to show us around. The price of Bluey the steer was unbelievable!